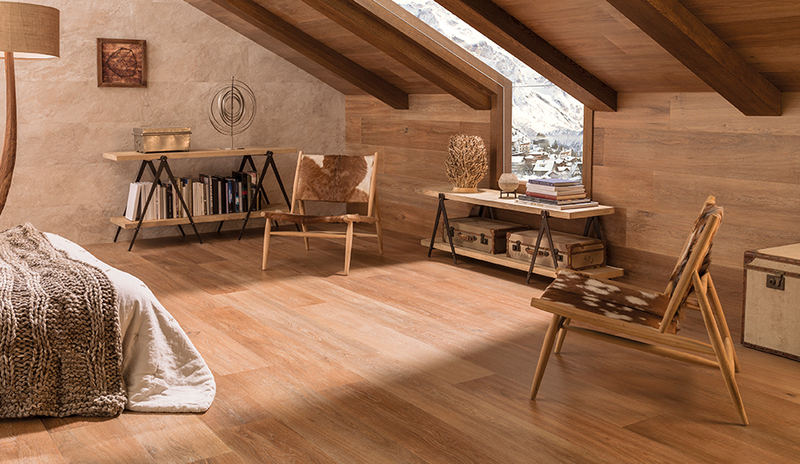 Bring the beauty of the outdoors inside with wood-look porcelain tiles from our EWOOD, SEEDWOOD and PAR-KER® Collections. 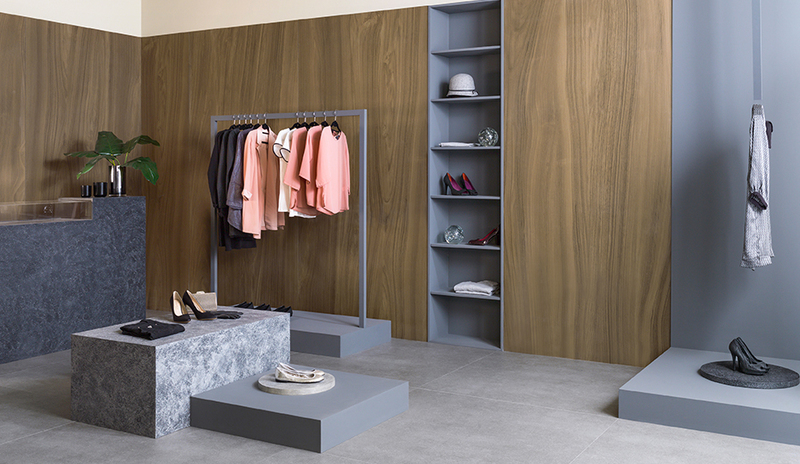 EWOOD has all of the qualities you’ve come to love about porcelain while offering the look of all-natural hardwood. EWOOD is highly durable, water and scratch resistant. 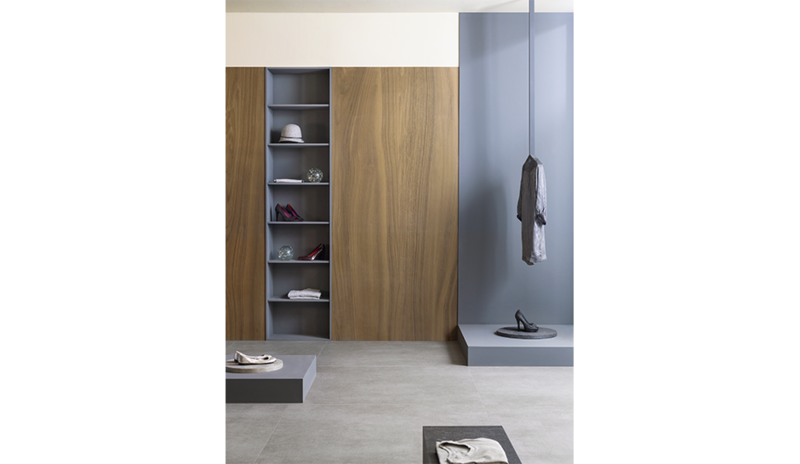 All EWOOD tiles are available in 47” x 98” sizes and camel, honey or nut colors. EWOOD Camel Nature resembles warm, desert sand in color and when applied on a wall is soothing. Variegated lines throughout the pattern add a touch of class and sophistication whether used in a kitchen, family room or living area. 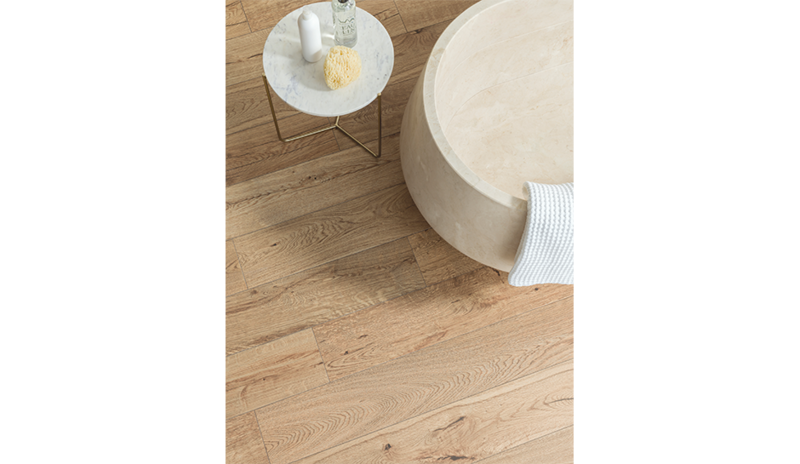 Our EWOOD Collection can even be used in bathrooms where hardwood would not normally be used due to the rooms’ high moisture content. 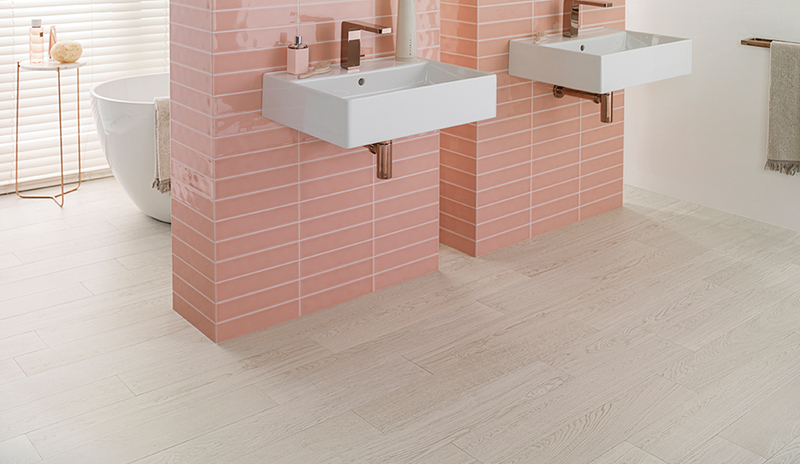 Wood-look porcelain tiles don’t take on moisture like wood does, so there’s no warping, cracking, expanding or staining to be concerned with. EWOOD Honey Nature is the perfect balance between light and dark wood and lends a warm, restful feel to a room. Its oak-like color is the perfect complement to a room’s décor as it blends seamlessly with furniture and accessories of any color or style. 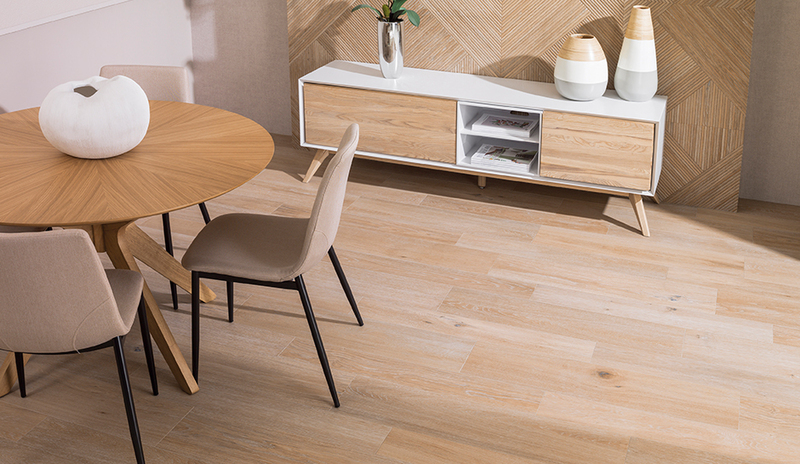 Wood-look tile also holds its own due to porcelain’s ability to sustain damage from scratches, dents, warps or cracks. 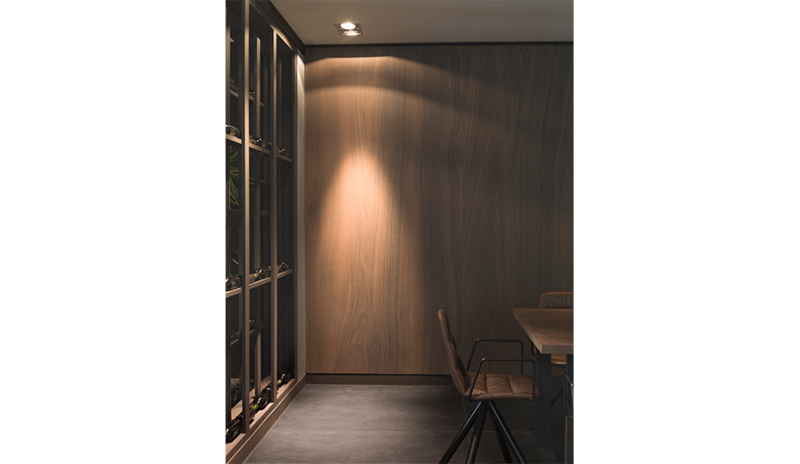 Refined but simple elegance is offered by EWOOD Nut Nature with a rich, bold, deep color that creates a cozy, forest-like atmosphere. 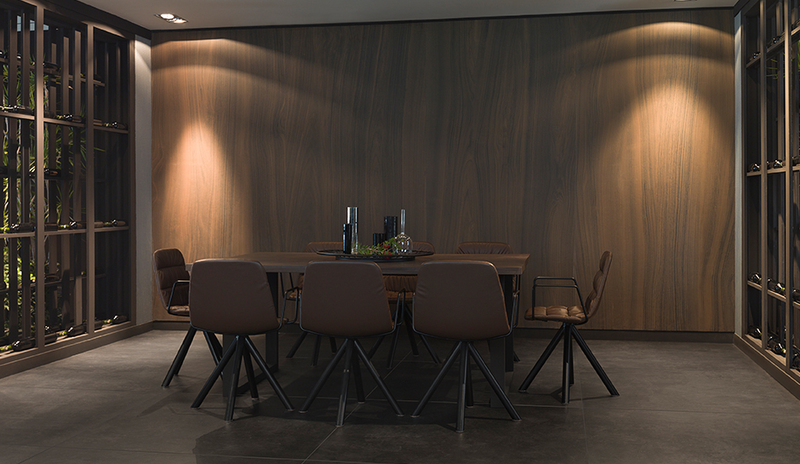 Subtly placed overhead lighting enhances the gorgeous, daring lines running through the walnut-colored tiles. 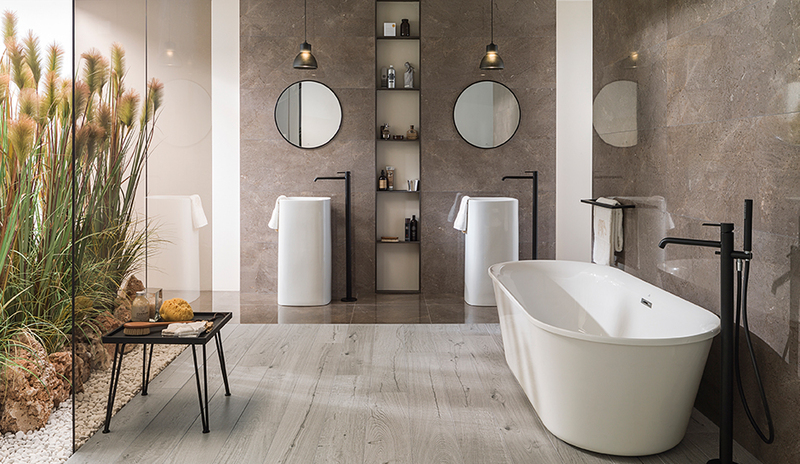 Porcelanosa presents the SEEDWOOD Tanzania Collection—one of our most colorful and diverse wood-look porcelain tile series that offers a high-end, luxurious fashion statement. Almond, Nut, Wine, Taupe, White, Natural, Walnut, Silver and Graphite … these myriad color choices along with Tanzania’s ability to mix-and-match with any décor allow it to easily adapt to every space. SEEDWOOD can be used in flooring and wall applications so consider mixing up a wood-look tile like Tanzania Wine with a backsplash tile like Kala White Polished with its smooth look of marble. 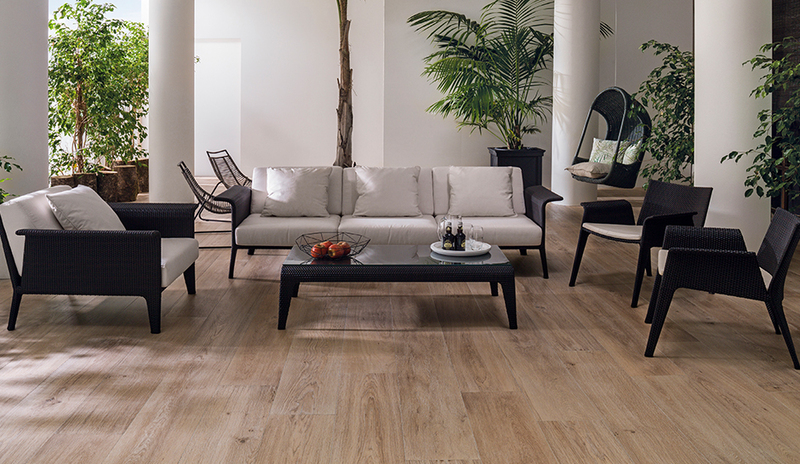 Porcelain hardwood products have the look of natural wood but aren’t affected by the environment and maintenance that natural hardwood requires. Not only are they eco-friendly, durable and fire-resistant, they also don’t absorb allergens, smoke or odors. 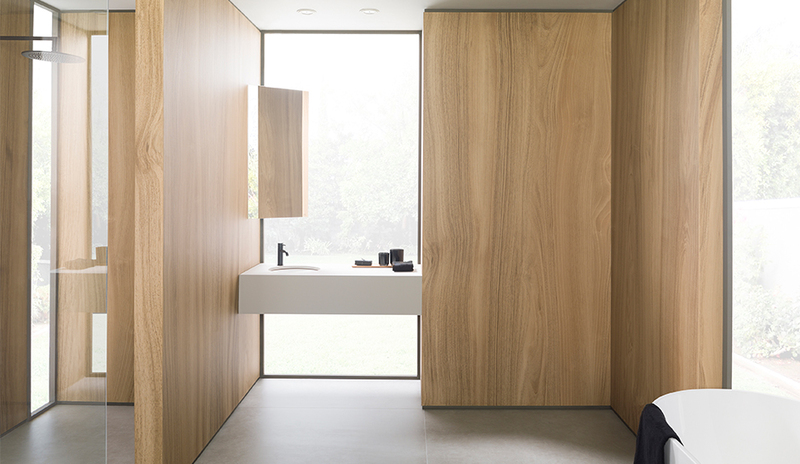 New to Porcelanosa’s PAR-KER® series is the Delaware collection, with finishes inspired by oak, maple and beech wood. This collection features a different pattern in each tile, making it an exceptional wood-look tile collection with realistic textures and colors. Another new addition is the Forest Collection, which is made out of 95% recycled content and can be used in multiple applications.